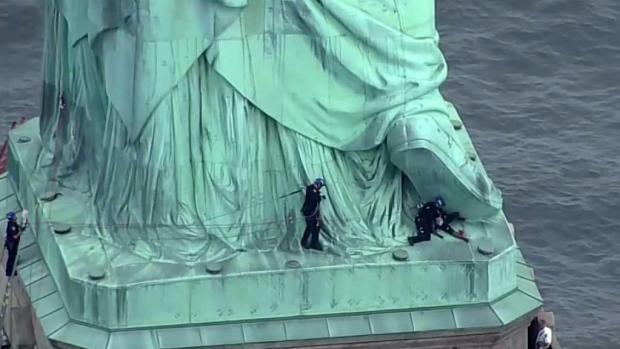 The 44-year-old Staten Island woman who scaled the Statue of Liberty during a Fourth of July protest has pleaded not guilty to trespassing and disorderly conduct, and was released without bail after spending the night in custody. Rana Novini reports. 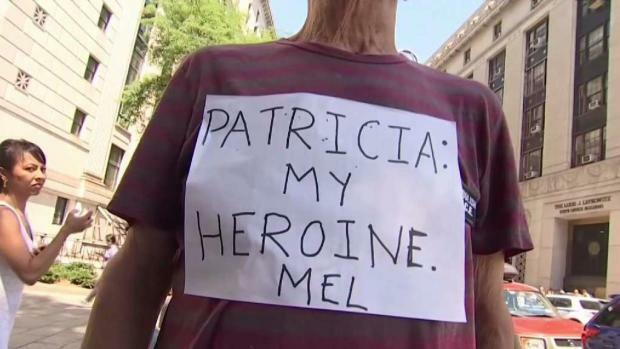 Neighbors and fellow activists say the woman who climbed the Statue of Liberty on Wednesday is an outspoken activist. Adam Kuperstein reports. 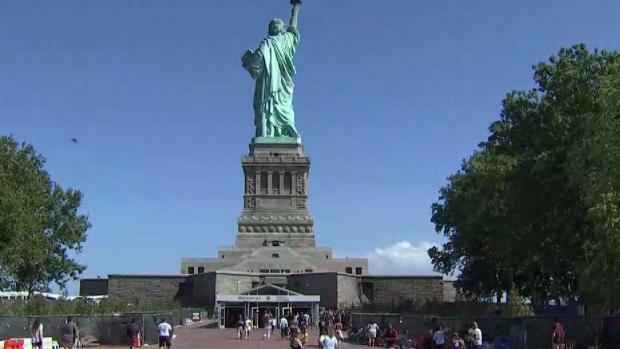 A day after a woman attempted to climb atop the Statue of Liberty, questions about security on the island remain. Brian Thompson reports. 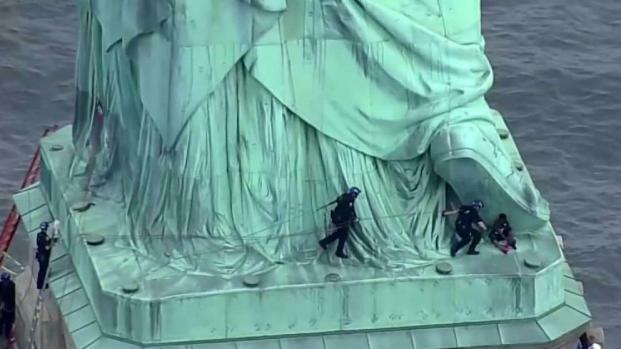 When a woman climbed the Statue of Liberty's pedestal, the NYPD's Emergency Services Unit leaped into action. Marc Santia reports. 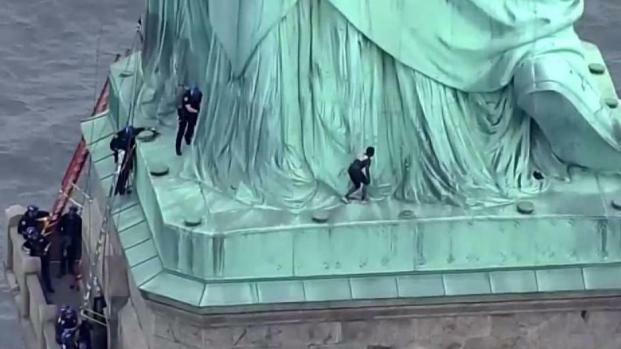 The woman, identified as 44-year-old Therese Patricia Okoumou of Staten Island climbed the Statue of Liberty after participating in an 'Abolish ICE' protest. Brian Thompson reports.